XOXOAD: What is your favorite part of writing a book? LG: I love beginnings. I get such a rush from writing that sparkly first chapter that launches the story. Beginnings are fun because they’re filled with possibilities and every path is still open. Even I don’t know what’s going to happen yet. Endings are bittersweet for me. There’s a feeling of satisfaction when you see the events and relationships culminate. But it’s hard, too, because I get emotionally connected to the people and it’s time to say goodbye. It’s a bit like taking someone you love to the airport. BEYOND LIMITS is the eighth book in your bestselling Tracers series. Why Tracers? What sparked the idea? The series is about an elite group of forensic scientists called Tracers who help homicide cops and cold case detectives solve their toughest crimes. The idea came from my love of forensics. I’ve interviewed so many people over the years with these vast stores of interesting knowledge, stuff they use every day to help investigators solve crimes. I wanted to find a way to weave that into stories, so I came up with the Tracers, who work at this cutting-edge crime lab called the Delphi Center. They have all the up-to-the-minute technology and lots of smart people working there, so they can tackle any challenge. Do you plan to write more Tracers books? Yes! There are many favorite characters who haven’t gotten their own book yet, and readers keep asking about them. I’d like to write about Ben Lawson, who is a cyber detective, and Scott Black, the badass firearms expert. And I have some cop characters out there who would be fun, too. I feel like I have many more stories to tell. A number of your books are set in Texas. Do you plan to change settings anytime soon? My setting choices are mostly about voice. I always want the dialogue to ring true, so I tend to set stories in places that I’ve either lived or spent a good deal of time. I’m a pretty visual person, so anytime I travel somewhere, I take a crazy amount of pictures and use them for inspiration later when I start a new book. 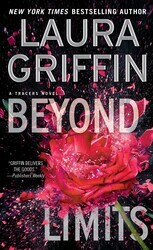 Tell us about the newest Tracers book, BEYOND LIMITS. BEYOND LIMITS is about Navy SEAL Derek Vaughn and FBI agent Elizabeth LeBlanc, who first met in SCORCHED. These two had chemistry from the very beginning, and as soon as they met I wanted them to have their own book. BEYOND LIMITS opens with a harrowing SEAL rescue mission overseas, and Derek uncovers clues to a terrorist plot on American soil. He comes home determined to thwart the attack. He decides his quickest way into the investigation is to manipulate Elizabeth into giving him inside info. When Tracers at the Delphi Center crime lab unravel some of the key forensic clues, Derek and Elizabeth find themselves in a race against time to stop a deadly disaster. If BEYOND LIMITS were a movie, who would you cast as Derek and Elizabeth? That is a tough one! He would need to be tall, built, and have that SEAL confidence and determination. Chris Hemsworth would be a good fit. As for Elizabeth, I think that role would not be about her physical appearance so much as her attitude. Elizabeth is tough and no-nonsense, which is why she is a good match for Derek. I’m writing a new Tracers book, SHADOW FALL, which features some of my favorite Tracers characters—Mark Wolfe, Mia Voss, Kelsey Quinn. The male lead in the story is Mark’s brother, Liam Wolfe, a private security specialist whose life is turned upside-down when he becomes the prime suspect in an FBI murder investigation. SHADOW FALL comes out in October. Where can readers get in touch with you? I love to chat with readers! 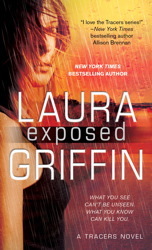 You can find me on Facebook.com/LauraGriffinAuthor, on Twitter @Laura_Griff, or you can drop me a line at laura@lauragriffin.com. And I’ll be signing books at the Austin Book Fest March 7. 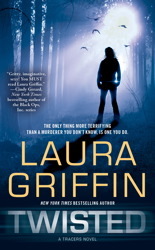 To save her only brother, Andrea Finch must face down a terrorist mastermind, the FBI, and her own demons in this thrilling novel from the author of the bestselling Tracers series. 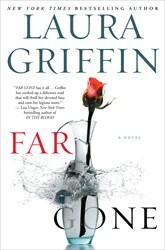 Griffin's first foray into hardcover is as gripping and intense as the novels Tracers fans have come to love! Gage has to balance his loyalty to his SEAL brothers against his feelings for Kelsey, a forensic anthropologist on the Tracers team. I love the way both of them have to struggle with love and career here. This is one of Laura's two RITA Award winners. This case will make Alison Doyle's career...if it doesn't kill her first. 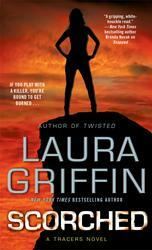 Part of Griffin's acclaimed & bestselling Tracers series, TWISTED is one of my favorites.